When, in the rebel held parts of Syria, Assad’s barrel bombs rained down on schools and leveled them to the ground, the teachers moved their classes to the basements and anywhere they could find a shelter. 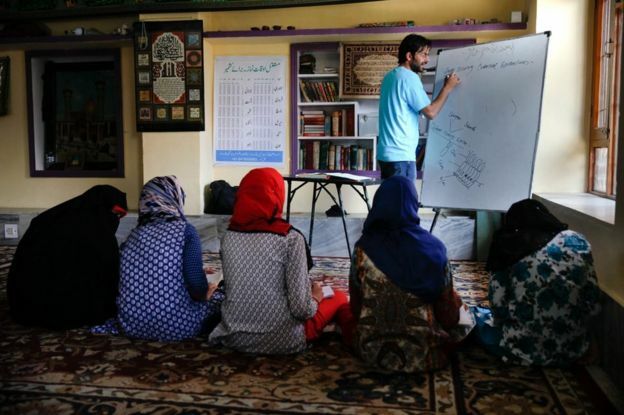 Keeping up with the same spirit of “education should not suffer”, the resilient people of Kashmir, while our streets were filled with blood of the innocent and pervaded by a military curfew, decided to setup what later came to be known as “curfew-schools.” The brilliant, young volunteers delivered classes to schoolchildren in mosques, homes and buildings temporarily donated by conscientious Kashmiris. 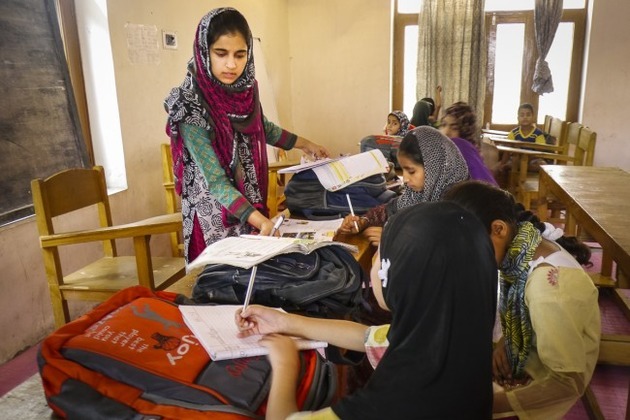 In a place like Kashmir, where the education system is tightly regulated by the state, this was a creative act of resistance, a positively anarchic, democratic experiment of “informal” pedagogy. This was an unprecedented exercise of liberating education, as the great Paulo Frierre would call it. In fact, one of the greatest achievements of 2016 was this re-emergence of an alternative model that not only expanded the limits of what could be taught to the students but also successfully challenged the dependability of ideological state apparatus. Many of the curfew schools were setup in local masjids. 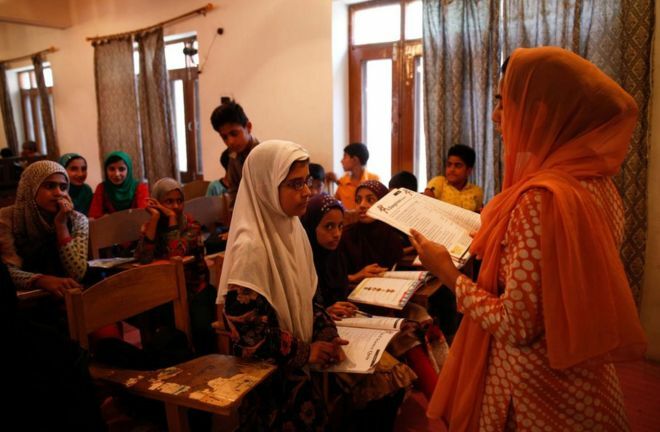 The curfew teachers, agents of what the Arabs call Sahwa (Awakening) or, in Kashmiri- Hushaar Gasun, dodged state harassment, injury or death every day to reach their schools. 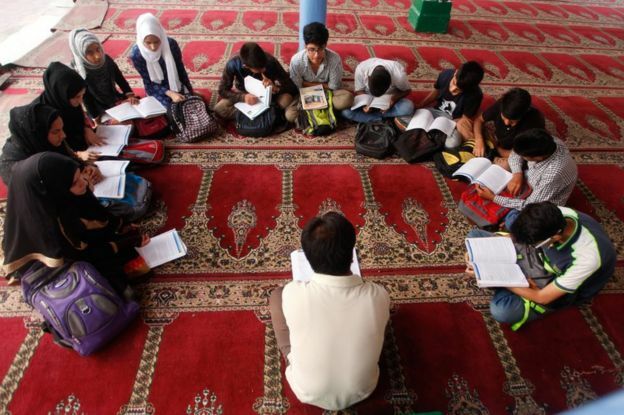 This “grassroots” education system also highlighted the importance of acquiring knowledge regardless of circumstance, as Prophet Muhammad has emphasized. With such committed individuals in our midst, the colonial notion of “we do not deserve freedom, or at least not yet” should now get literally purged from our conversations and reflections. The curfew teacher reinforced our faith in the unyielding resistance of Kashmiri people and undeniable agency of the oppressed.